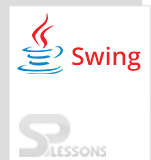 Swing BasedGame, Developing a game is not an easy issue, to develop the game programmer should have the knowledge with coding, most of the games will be developed by java language because of java consists of more packages. Here by using Swing components developer can build a game . To develop the game developer need to have an idea about Swing events and Swing layouts. In every game object should move from one place to another place so ActionListeners must perform on the components, mathematical logic is the mandatory for every game to figure moving objects per second. Following is an Swing BasedGame. 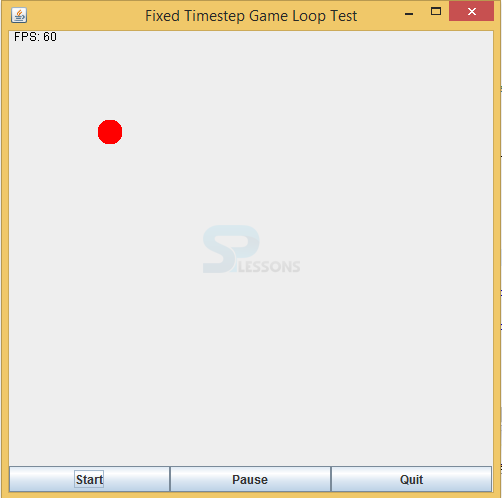 Here created the class GameLoopTest that extends JFrame and implements ActionListener. Here three JButtons such as Start, Quit, Pause. First-person shooter (FPS) is setted to 60. JPanel() Creates a new JPanel with a double buffer and a flow layout. GridLayout()Creates a grid layout with a default of one column per component, in a single row. Add action listeners to the three buttons. Swing BasedGame – Calculate how many ns each frame should take for our target game hertz. We will need the last update time and Store the last time we rendered. Swing BasedGame – Do as many game updates as we need to, potentially playing catchup. Game structure will be as follows. FPS stands for First-person shooter. The getContentPane() method retrieves the content pane layer so that you can add an object to it. A single panel is the right way to go when using Java Swing to create a Java game.